Smoke from the Camp Fire finally cleared out during Thanksgiving week with a nice winter storm bringing Northern California much needed rain. 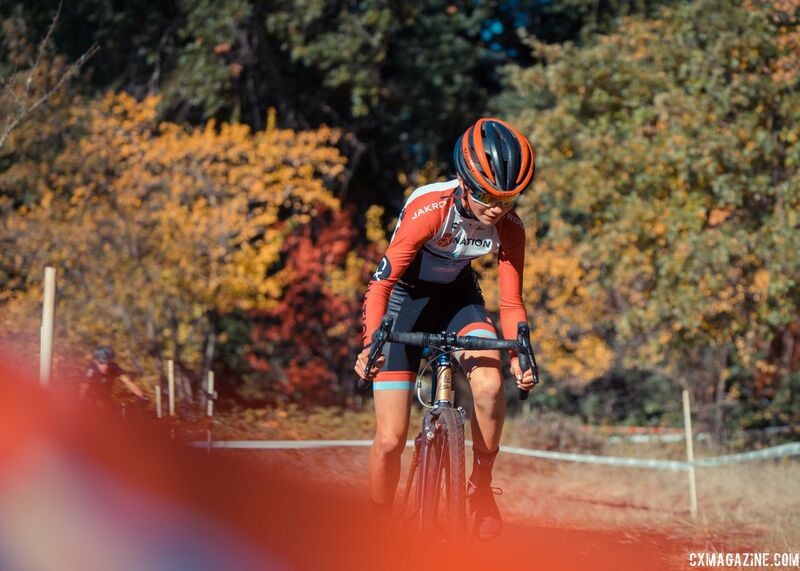 After the cancellation of two weeks of cyclocross racing in the San Francisco Bay Area, we were finally given the green light by Mother Nature for the 2018 CX Nation Cup and Northern California / Nevada District Championships on the Sunday after Thanksgiving. 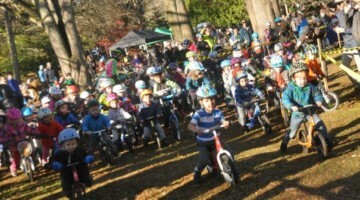 The CX Nation Cup took place in Maxwell Regional Park in Sonoma. 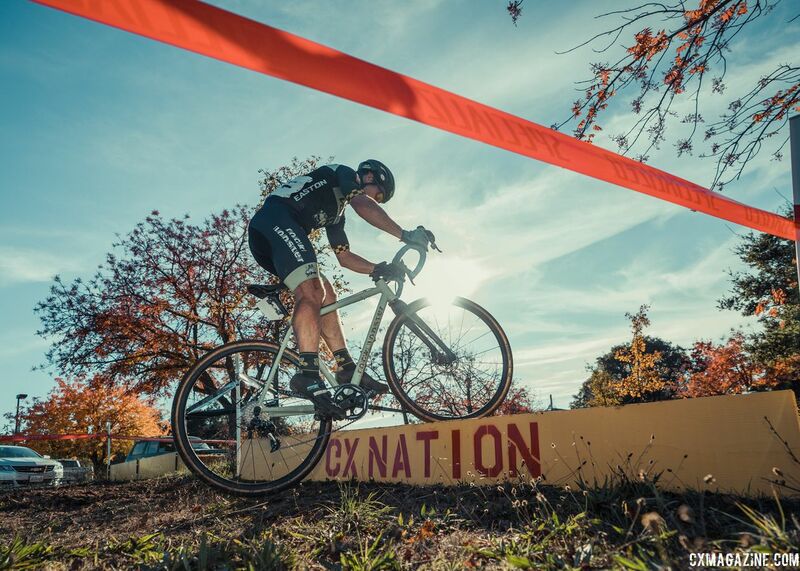 The brainchild of CX Nation founder, Brian Staby, the race was originally started last year to fund the CX Nation Juniors and to send other Junior racers in the SF Bay Area to Reno Nationals. Building on that success, the race was also the host of the Northern California/Nevada District Championships. Racers took the start on a beautiful day in the town of Sonoma. 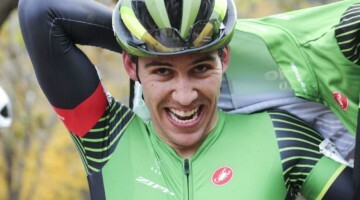 The rain cleared out and 60-degree temperatures greeted the riders. The exact opposite of last year’s race that brought heavy rain and a whole lot of mud to the course. 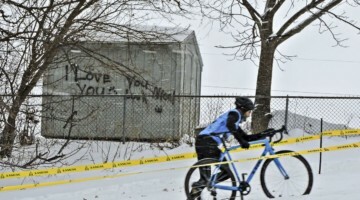 This year, the course was greasy for the morning races but got tacky as the day wore on. 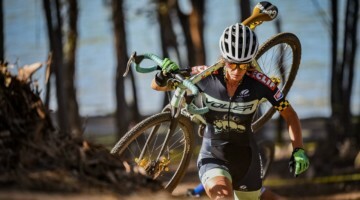 The course offered riders a variety of terrain—small elevation gains, wooden barriers, baseball field turns, sand, backcountry single track and the famous “whoopdy” up/down single track, which claimed more than one victim. The non-championship races started the day. Large fields were the norm, as well some serious sandbaggery. The yin/yang followed with the youngest racing and the oldest. The Voler/Clif/HRS/Rock Lobster crew led by legendary frame builder Paul Sadoff had a tremendous showing. 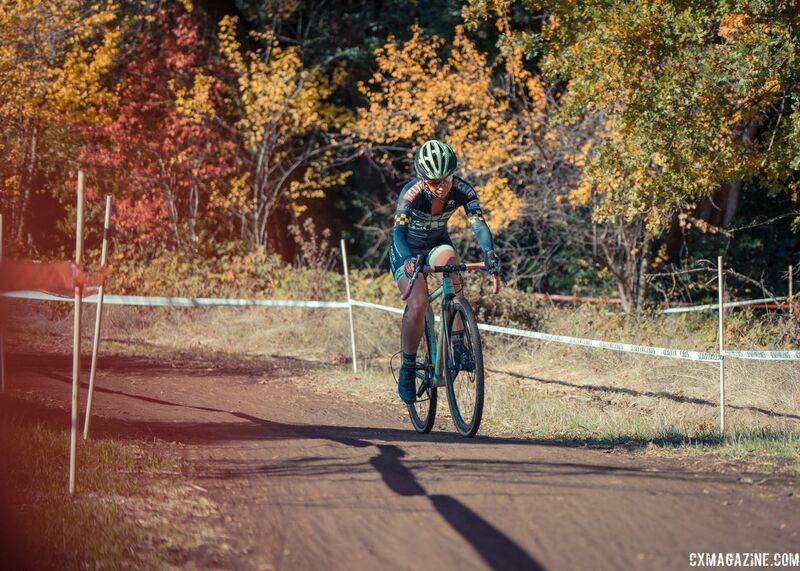 Age group racing for the men brought out some big names in NorCal cyclocross racing. The Masters Women put on a good show for the fans. Trinity Glecker (Breakaway Women’s Racing) won the Masters Women 35+ race, and Monica Erdosh won the Masters 45+ category. The Elite Women lined up next with Caroline Nolan (Voler/Clif/HRS/Rock Lobster) leading from start to finish. Caroline is having an amazing season, spending lots of time back east racing against some of the best in C1/C2 races. Lindsay Cunningham took second and Melsa Smith third. The Elite Men’s race came down to who, if anyone, was going to catch Max Judelson (Voler/Clif/HRS/ Rock Lobster). Judelson had a great start, leading up the initial hill, after the start line and he never looked back. 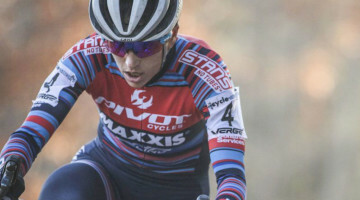 Ben Gomez-Villafane (Garneau-Easton p/b TLC) started near the back, got caught up in traffic and made a big charge, only to come up short and finish second. 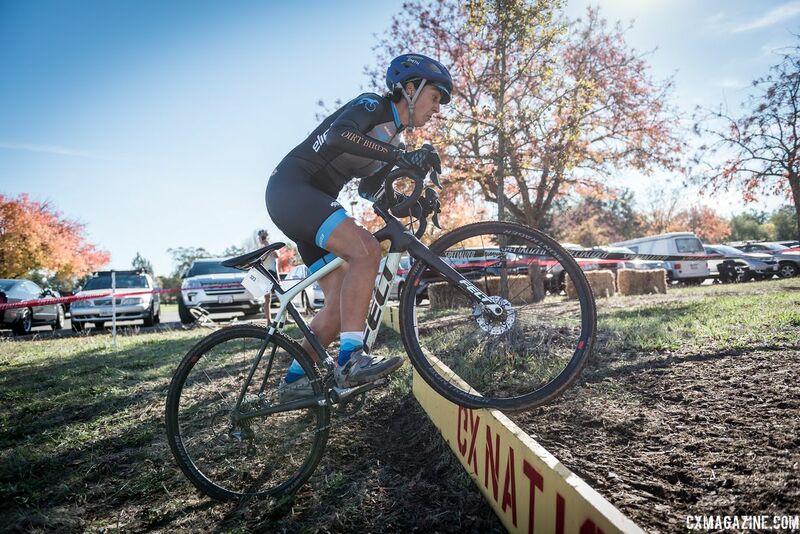 Former CX Nation alum Kobi Gyetvan stayed strong throughout the day and outlasted many of his fellow chase mates and finished third. 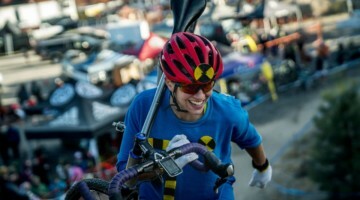 Big favorite Tobin Ortenblad (Santa Cruz / Donkey Label Racing) suffered an untimely crash on the “whoopdies,” which left him with a broken collarbone.